Handmade bleach dyed and treated blue canvas messenger bag. 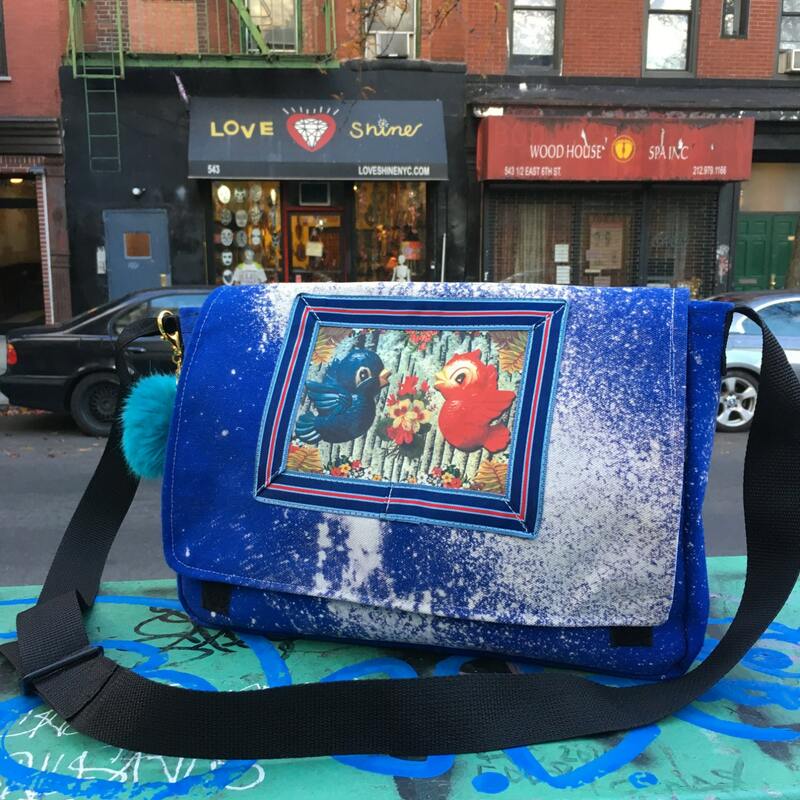 This bag is functional and one of a kind in design. The Love Bird image is by artist Ken Brown and is heat transferred and appliquéd with ribbon. There is one pocket on the inside of the bag and a large exterior pocket under the flap. There is a Velcro closure that attaches the flap of the bag to the body to keep your belongings secure. Our strap is made from a durable 1.5" black polypro webbing with an adjustable buckle.